According to a recent copyright claim, the BBC stole the idea for Doctor Who villain Davros from a 13-year-old child in the 1970s. Back in 1972, a 13-year-old Steven Clark entered a competition run by comic book TV Action that asked fans to create a super-villain. Clark, now 51, claims he submitted the design for a villain that rode around in one of Doctor Who's Dalek bodies named Davros. 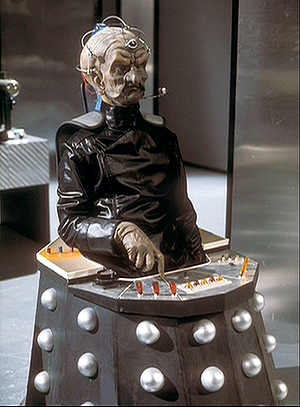 Clark didn't win the contest, but says he was extremely surprised to see Davros appear as the creator of the Daleks in a Doctor Who storyline in 1975. The TV Action contest was judged by the actor that played the Doctor in 1972, Jon Pertwee, along with Doctor Who script editor Terrance Dicks and producer Barry Letts. Clark says he didn't bring a claim against the BBC in 1975 because he had lost his original Davros sketches. After he found them again in 1990, he thought too much time had passed to gain recognition. 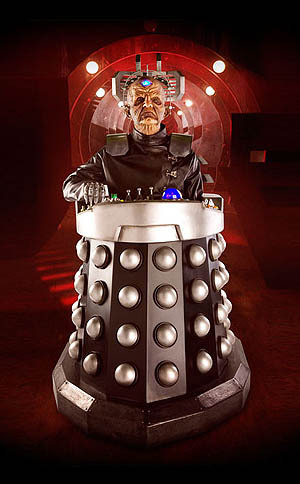 Today, and finally, Clark has filed an official copyright claim in the UK court system, and believes he is owed damages or profits the BBC earned from the use of Davros over the past 36 years. Clark also just wants to be recognized for the character he says he created as a young lad. 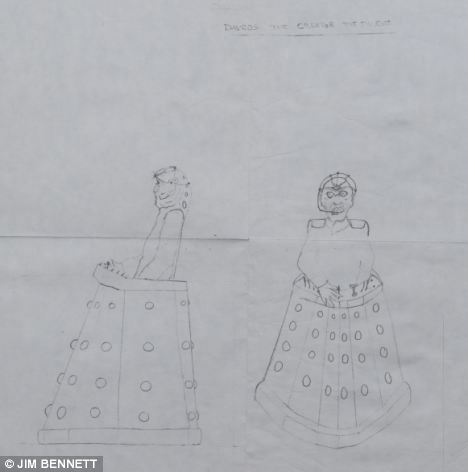 For proof, Clark provides a sketch of a villain that looks exactly like Davros, with the name "Davros" at the top, that he claims was submitted in the contest. Davros is one of the most popular Doctor Who villains ever, so if the sketch is real and Clark somehow has a case, he could apparently be in for a windfall.